Most of the children that we work with at Kids Club Kampala are living in very difficult situations and are from extremely poor families. Education is not free in Uganda, so if a child’s parents cannot afford to pay school fees, the child simply misses out on an education. 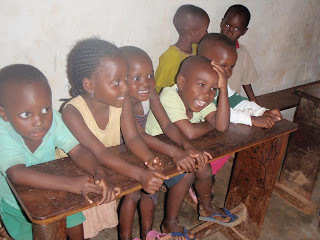 At Kids Club Kampala, we believe that all children are precious and deserve to be able to fulfill their potential. Education is a basic human right and we believe that all children should have the chance to go to school. Receiving a good education is vital and gives these children the chance to raise themselves up out of poverty and have a bright future. At the end of 2012, we are very happy to announce that we now have 16 children being fully supported to go to school through our School Sponsorship Programme! Thank you so much to all of our child sponsors who have made a choice to change a life of a child in Uganda. However, there are still hundreds of children that we work with who do not have the opportunity to go to school and would love for someone to support their education. This Christmas, you have the fantastic opportunity to make a real difference to a child’s life by providing them with the gift of an education. By sponsoring a child with Kids Club Kampala, you can give a child a bright future and enable them to break the cycle of poverty. It costs just £25 a month to sponsor a child. If you or anyone you know would like to change a child’s life this Christmas and become a child sponsor with Kids Club Kampala, then please get in touch us and we will send you a sponsorship form. Thank you. “Kids Club Kampala is so good because it has helped me to pay my school fees, and I would not be going to school if it wasn’t for Kids club Kampala. 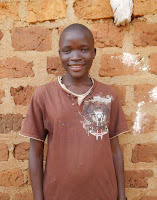 Angela is being sponsored to go to school through Kids Club Kampala and attends weekly KCK activities at her centre. Thank you and Merry Christmas from all at KCK.